9 First-Person Perspectives Give Voice To 'The Other Americans' The narrators in Laila Lalami's new novel have one thing in common: They've all "had the experience of dislocation," Lalami says. Together, they form a mosaic of race and class in America. 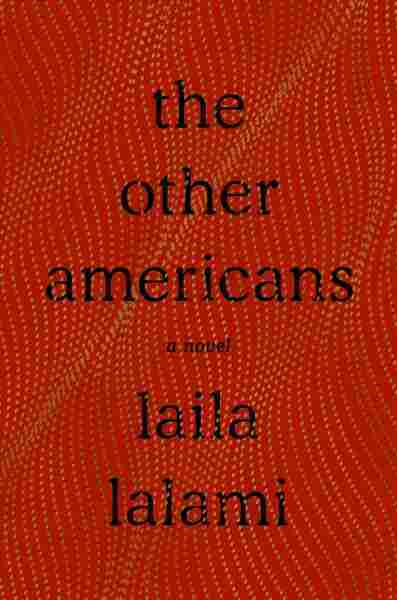 Laila Lalami's new novel The Other Americans is told from the perspective of nine different narrators who have one thing in common: They've all "had the experience of dislocation," Lalami says. The book begins with a Moroccan immigrant who is killed by a speeding driver in a hit and run. The narrators include the dead man himself, his wife, his adult daughter, a man who witnessed the crash, an Iraq war veteran, a detective, and others. The first-person accounts form a mosaic of race and class in America. "It just seemed to me that it was impossible to capture the complexity of the immigrant experience through just the one perspective of the man who dies at the beginning of the book," Lalami explains. "By conveying it from these different perspectives, my hope was that readers would get different ideas about immigration." Lalami, who was born in Rabat, is an immigrant herself. In May 2018, she appeared on NPR's Weekend Edition to talk about what patriotism means to her. Lalami explained that, for her, patriotism required a constant questioning, and re-evaluation. "One of the things that struck me about America when I started living in it is how easily Americans accepted the idea that their country was the best country in the world," she said. "What does it really mean for America to be the No. 1 country in the world? Does it mean that it has the best health care system? Does it mean that it has the best educational system? Does it mean that it's achieved the most perfect record on human rights ever?" She said that her patriotism called for ongoing effort to make the U.S. "a more perfect union." I think we're often shown [immigration] in the news almost exclusively as a law enforcement issue. So, for example, there's so much talk about border crossings and we hear about national emergencies — and immigration is really a natural ordinary human experience. It happens every day. There are 40 million immigrants in this country and their experiences are very varied. But one thing that they do have in common is this periodic experience of living their lives in the particular, but then seeing it reflected to them in the generic. On what she meant when she wrote after the travel ban: "America embraces me with one arm, but it pushes me away with the other." We hear constantly about these ideals — like America was built by immigrants. On the other hand, you also hear about various "bad hombres" across the border ... where immigrants are portrayed as people who are coming here to "steal jobs" and so on. So these dual portrayals ... it can be difficult for immigrants on a daily basis. His name is Driss Guerraoui. He's somebody who moved with his wife in 1981 from Morocco to California. The reason that they decided to uproot their family was because he had run into some political trouble at home and ... his wife felt that he was in danger and they wanted to seek safety. So they moved to California where they started a business and seem outwardly to be a perfectly happy and successful family and then the book opens with this suspicious accident. One of the narrators is the wife. ... She wanted to move here because she wanted to keep her family together — and maybe she succeeded and maybe she didn't succeed. Another narrator is the witness to the hit and run ... and he's an undocumented immigrant and that creates a sort of moral dilemma for him: Should he come forward and say what he has seen, and, in doing so, basically risk his own safety and his own family's safety? There are certain disagreements that can be bridged and there are other disagreements that cannot be bridged. I cannot, for example, compromise with someone who wishes that I would disappear from this country. The victim's daughter Nora is essentially the main character. She's the one who is forced to return home to this small town that she thought she had left behind for good. And she's really living truly with the ripple effect of her parents' decision to move to the United States because she's born here. She is in this place, but not exactly of it, because she's constantly reminded that she's different as she's growing up. So it really is about also the children of immigrants. I think in the book there are certain disagreements that can be bridged and there are other disagreements that cannot be bridged. I cannot, for example, compromise with someone who wishes that I would disappear from this country ... I don't think that the book offers that as the possibility at all. But I think that we can learn from hearing from others. And as long as those others are treating us as complete human beings, and see us in our all of our complexity, then I think that, of course, listening to one another is the first step. Peter Breslow and Barrie Hardymon produced and edited this interview for broadcast. Beth Novey adapted it for the Web.